Although thankfully and mercifully we are now free of the itchy delights of chickenSPOTS [not pox, you understand], we were going more than a little stir crazy being couped up whilst not one, not two, but three boys experienced it in a row. The bigger boys have Minecraft but poor little Hero, he had nothing to take his mind off the need to scratch for more than five minutes at a time. 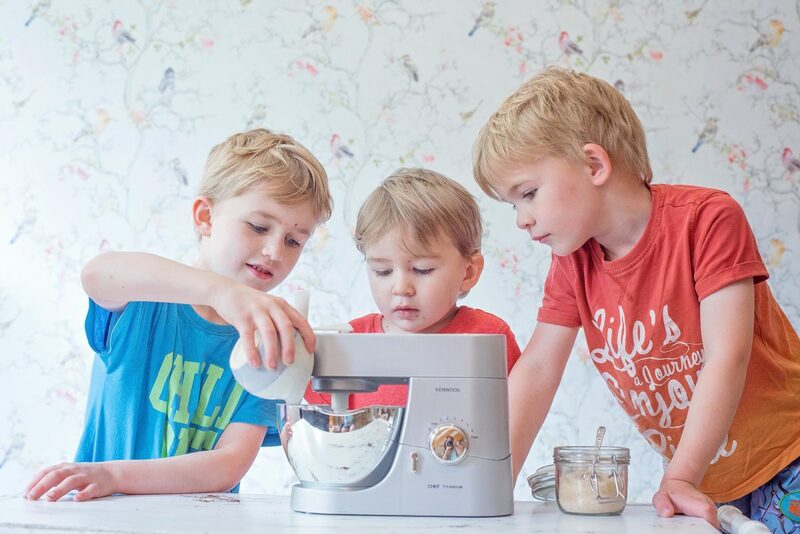 Lucky for us, we were sent the Casdon Kenwood Mixer to trial. As it’s getting closer to Father’s Day, we decided that a little cake making practice was in order. 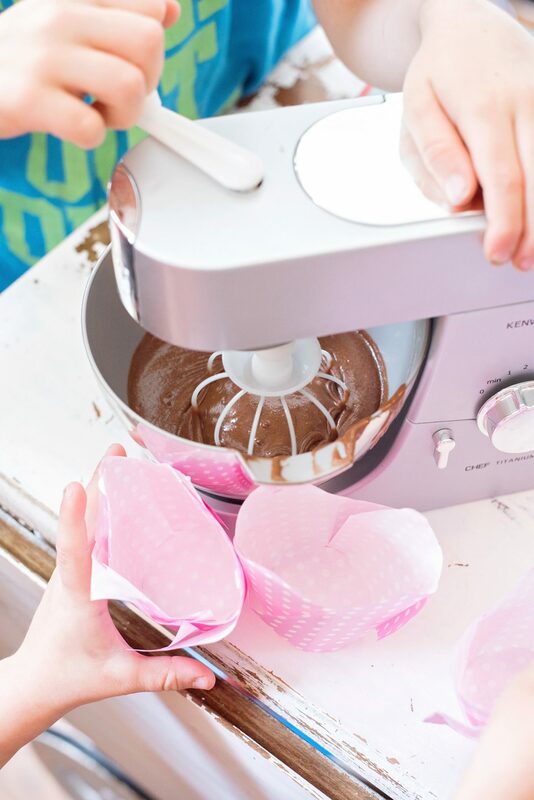 Hero told us that chocolate muffins were daddy’s favourites and proudly got the ingredients on the list, spooning and pouring them in, just like Mommy’s big mixer. The bowl detaches just like Mommy’s too – and the head lifts up the same. His little face was beaming whilst he told me how he was just like me now. The mixer can operate in one of two ways – battery or by hand. As I’m one of those people who never seems to have any batteries – or has batteries but no screwdriver available – we decided to do it by hand and popped the little crank into the top of the mixer, attached the whisk piece [there is a dough one too with the famous K shape] and started to turn it. We did test the battery method later that evening and it worked brilliantly with scrambled eggs too! That the mixer actually works brilliantly. It’s a really fantastic role playing, real world toy. It can have real food in it, and get real results! How it’s just like Mommy’s – and everything works exactly the same! That the battery operated parts work brilliantly – but if the batteries run out, it’s still perfectly useable. Its neutral colour – the silver is shiny too, in the same parts as the grown up mixer. Batteries were included. That’s our only gripe!